The New Venture Championship is perhaps best known for its judges. More than 50 industry leaders serve as judges for various aspects of the event each year—from selecting the 16 semifinalist contenders, scoring elevator pitches, or choosing the NVC champion. Judges provide real-world feedback and invaluable guidance at every level of the competition, evaluating the best startups and new business ventures from top universities around the world. Access to judge’s industry experience, mentoring, and critical analysis is what makes NVC an unmatched experience. Diane Fraiman is a partner with Voyager Capital in Portland, Oregon and focuses on finding market creators with a concentration on B2B early-stage startups in the Pacific Northwest. She is on the boards of Act-On and Stackery, serves as a board observer for SheerID, Lytics, and Chirpify, and previously held board observer positions for Geoloqi, Elemental, and Skyward. Fraiman is also on the boards of TiE Oregon, the University of Oregon Seed Fund, the Oregon State University Advantage Accelerator, and Providence Child Center. She graduated with a bachelor's degree from Vanderbilt University in biomedical engineering, and received an executive MBA from Insead in Fountainebleau, France. Bob Guldberg is the vice president and Robert and Leona DeArmond Executive Director of the Phil and Penny Knight Campus for Accelerating Scientific Impact at the University of Oregon. Prior to joining the Knight Campus, Guldberg served as executive director of the Parker H. Petit Institute for Bioengineering and Bioscience at Georgia Tech, and was a professor at the George W. Woodruff School of Mechanical Engineering and the School of Biomedical Engineering. Guldberg is the cofounder of four startup companies, most recently the medical device companies Restor3D and Vertera, the latter of which was acquired by NuVasive in 2017. Guldberg holds bachelor, master, and doctoral degrees in mechanical engineering as well as a master’s degree in bioengineering—all from the University of Michigan. Nitin Rai is a highly successful entrepreneur-turned-venture capitalist and is the founder and managing director of Elevate Capital, an Oregon-based, early-stage venture fund that also coinvests with TiE Angels. He has invested in more than 60 startups since 2011. He is the current chairman of the TiE Global board of trustees and chair of TiE Global Angels. 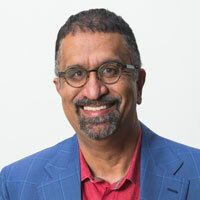 Rai also serves as president of TiE Oregon as well as founder, president, and CEO of First Insight Corporation, a Hillsboro, Oregon- and Pune, India-based electronic health records software company. Since 2013, Tim Stout has been the Sid W. Richardson Professor and Margarett Root Brown Chair of the Baylor College of Medicine Department of Ophthalmology, as well as director of the college’s Cullen Eye Institute. Prior to that he served as professor in the departments of ophthalmology and molecular genetics, as well as vice president for commercialization strategies at Oregon Health and Science University in Portland, Oregon. He has directed the Clayton Gene Therapy Laboratories since 1995. Stout received his undergraduate degree from Rice University in Houston and his MBA from the University of Oregon. He earned his medical degree and doctorate in molecular genetics from the Baylor College of Medicine, where he also completed a post-doctoral fellowship in human genetics. Michelle Tinsley is the CEO of Remitter International, a mobile communication and payments technology company whose mobile-first platform removes the friction from payment collections. Prior to her role at Remitter, Tinsley founded and served as CEO for consulting firm Tinsley Retail Insights. Tinsley held a career at Intel for more than 25 years, including 18 years in finance roles. Her positions included a lead role in the company’s “Internet of Things” group, as well as positions in general management, strategy, and sales. Tinsley is an angel investor in the Arizona Technology Investors group and a member of the board of directors of Quik Trip and Aava Mobile Oy. She received her bachelor’s degree from the University of Oregon and an MBA from Arizona State University. Mark Adams is a global communications professional with expertise in corporate and executive communications, PR, product marketing, advertising, and venture capital. His work experience includes acting as the executive communications director for Hewlett-Packard and as director of communications for Intel Capital, Intel’s financial organization. Adams has a degree in economics from Vanderbilt University and an MBA from Indiana University. He has worked extensively in corporate social responsibility and with organizations including Net Impact, the Intel Foundation, and Social Venture Partners Portland. Katherine Allan is a senior leader, coach, and sommelier with a specialization in growth strategy, digital advertising, commercialization, and innovation. She teaches wine classes, advises local startups, and volunteers as a financial coach in Portland. She is a founding member and officer of the Oregon Sports Angels, a local investment network that coaches and invests in Oregon sports startups. During more than 11 years at Google, she played many roles across sales, marketing, and business development. In addition to large-scale corporate initiatives, she helps small local businesses improve their operations and drive profitability. Tim Berry is the founder and chairman of Palo Alto Software, which is now based in Eugene, Oregon. He is also the conceptual author of business writings including Business Plan Pro, LivePlan, Lean Business Planning, The Plan-As-You-Go Business Plan, and 3 Weeks to Startup. Berry taught at the University of Oregon for 11 years, where he received a master’s degree in journalism. He also holds an MBA from Stanford and a bachelor of arts degree from the University of Notre Dame. KaLynn Gates is an entrepreneurial lawyer and healthcare evangelist with a mission to make healthcare affordable for all. As president and corporate counsel of HealthFirst Financial, her expertise and leadership have doubled the company’s national footprint while helping hundreds of thousands of patients manage more than $400 million in medical bills. Jay Gentzkow is a director of corporate development and head of investor relations at FLIR Systems, an intelligent sensing and solutions company and maker of sensor systems that enhance perception and heighten awareness, helping to save lives, improve productivity, and protect the environment. Formerly, he worked as a technology investment banker at Pacific Crest Securities, where he advised emerging growth companies on mergers and acquisitions, public offerings, private capital raises, and other strategic advisory. Gentzkow received his bachelor of science in business administration from the University of Oregon. Jay Haladay is the founding partner of 10 Branch, an investment and advisory firm that is associated with the Haladay Family Office and is dedicated to providing both financial and operational support for growing businesses in Oregon. He spent more than 40 years in the technology field, working for the first 10 years at the IBM Corporation. The past 30 years have been spent founding, developing, and operating vertical market software businesses. Haladay recently retired as CEO and chairman of the board of one of these firms, Viewpoint Construction Software, the largest dedicated provider of construction specific software to this large global market. Based in Portland, Oregon Viewpoint serves more than 8,000 construction customers in 26 countries. In elevating Viewpoint to this stature, Haladay was responsible for raising more than $500 million in growth equity during the past six years. Shane Johnson has been active in the Oregon startup community for more than 15 years and is currently a managing director of the Coast to Crest Fund, where he is responsible for mentoring the portfolio companies and for deal flow development. He helped to found three internet startups and has had two successful exits. Johnson’s startups have all been located in Eugene, Oregon, and he believes strongly in the community and people who have aided his success. He has been a local advisor, mentor, and active angel investor since 2011. He has been the entrepreneur in residence at Fertilab, an accelerator and coworking space for entrepreneurs in Eugene since 2013, and he serves as the lead mentor in Eugene’s Regional Accelerator and Innovation Network (RAIN), as well as an advisor to several local companies. Johnson earned a bachelor’s degree in biology and psychology from the University of Oregon and a master’s degree in neuroscience from the University of Rochester. John Kochis is the president and founder of Gemini Consulting with offices in Portland, Oregon and Santa Barbara, California where he focuses on achieving the financial goals of privately owned wineries. He currently consults on multiple winery projects throughout the West Coast that range from startups to those with decades of history. Koch is also the CEO of Aspira Corporation, a wine company focused on developing and marketing California wines in Asia. In 2015, Koch is acquired the Ground Effect wine brand and repositioned it to focus on California Cabernet Sauvignon. In her role at Rogue Venture Partners, Caroline Lewis identifies new investment opportunities, leverages her experience to support portfolio companies, and engages with Portland’s startup ecosystem. She serves on the boards of Oregon Entrepreneurs Network and Young Entrepreneurs Business Week. Lewis previously served as senior director in strategy and operations for Nike’s global design, product, and merchandising sector, where she managed a portfolio of strategic programs focused on consumer experience, digitization, and big data. Lewis has also worked as a management consultant for Propeller and Hitachi Consulting, where she worked with Fortune 100 companies on enterprise technology implementations and organizational restructuring. Her love for startups comes from her early career experience as a founder of an e-commerce business and as a leader at a consumer health product company. Lewis holds an MS in psychology from Davidson College and an MBA with a focus on entrepreneurship from Portland State University. Aditi Martin is the director of the innovation and awards program at the Oregon Health and Science University’s (OHSU) Oregon Clinical and Translational Research Institute, the associate director of strategic partnerships at OHSU’s School of Medicine, and codirector of the Precision Medicine Innovation Co-laboratory. Martin aims to foster a thriving regional environment to support innovation, enable productive collaborations that drive technology development, complement faculty expertise, and enhance research and clinical programs across OHSU. Prior to joining OHSU, she served at the Office of Technology Ventures at Johns Hopkins University, where she managed intellectual property and led the negotiation and execution of a variety of technology development and collaborative agreements focused on translation of biomedical advances. She has also worked in the startup world developing a cancer diagnostic platform. Martin received her undergraduate degree in microbiology and molecular genetics from Michigan State University and her PhD in pharmacology and toxicology from Virginia Commonweatlh University. She is also a certified licensing professional. Joe Maruschak is an investor, serial entrepreneur, and the executive director of RAIN Eugene, a nonprofit organization that works with entrepreneurs and university researchers to launch high-growth traded sector startups. RAIN (the Regional Accelerator and Innovation Network) is a government-funded initiative to invest in the creation of high-growth companies in Oregon and accelerate the state’s transition from a resource-based to a knowledge-based economy. Maruschak also serves as the managing director of the Coast to Crest Fund, which was formed to invest in Lane County companies with high growth potential. In 2001, Maruschak cofounded his first company, the BraveTree video studio, which was later acquired by GarageGames. He then joined the GarageGames executive team until its acquisition by IAC. Alexis Nelson began her career in the investment management industry at Allianz Global Investors in San Francisco. She left her corporate job to pursue a lifetime dream of starting a company. Combining her passion for travel and cycling, Nelson and two business partners started a custom bicycle touring company, LifeCycle Adventures, in northern California’s wine country. Now the company operates in four states and six countries, and is still growing. They relocated their headquarters from California to Portland in 2015. Nelson currently sits on LifeCycle’s board of directors. She is also an active investor in the Oregon Venture Fund as well as the founder of the Impact Investment Fund at Portland State University’s School of Business. Nelson holds her MBA with a focus in entrepreneurship from Mills College and will soon have her MS in finance from Portland State University. More than 15 years ago, Jill Nelson founded Ruby Receptionists, and as a hands-on CEO has made it her passion to help other entrepreneurs discover new ways in which to set themselves apart and accelerate their own growth. Ruby’s friendly, live receptionists provide its more than 10,000 small businesses customers a platform to improve brand reputation, win new business, and build customer loyalty. Nelson’s commitment to innovation along with a focus on providing a stellar customer experience has enabled double-digit revenue growth every year and has given Ruby the record-breaking position as one of Oregon’s fastest growing companies for the past 11 years. Nelson has received the Pacific NW 2017 Ernst & Young Entrepreneur of the Year Award and became the first woman to be named the Oregon Technology Executive of the Year in 2017. Kate Niedermeyer is the cofounder of Resku, the official source for restored and restocked Nike shoes. Prior to starting Resku, Niedermeyer was an entrepreneur for Nike and for Intel, where she focused on building new ventures in a wide array of areas including cloud services, fintech, e-commerce, and apparel customization. She is an investor in Oregon Venture Fund and member of Pipeline Angels, and a mentor for Plug and Play accelerator. Niedermeyer holds an MBA from the University of Oregon and a BA from Reed College. Robert Pease is a partner with Cascade Angels Fund, a seed stage fund based in Bend, Oregon. He has more than 20 years of experience as an investor, founder, operational executive, and consultant. His experience includes early-stage company formation, growth to scaling and exit, and seed stage investing. He was previously CEO of LoopFuse, Inc. (sold to Salesfusion, Inc.), vice president of marketing at Gist, Inc. (sold to Blackberry, Ltd.), and has held a variety of senior marketing and product roles in four other venture-backed technology startups. He began his career as a management consultant with Accenture’s global communications and technology practice based in Washington, D.C. He holds a BBA in finance from the University of Georgia and an MBA from the University of Tennessee. Anthony Rodio is president and CEO at YourMechanic. Rodio is an advisor and investor to many Silicon Valley startups. He has an MBA from the Olin School of Business at Washington University, where he was a Dean’s Scholar and graduated Beta Gamma Sigma. In addition, he received a MS in economics from Portland State University, and a BS in finance from the University of Oregon. Ketan Sampat is the cofounder of CafeGive Social, the provider of a cause marketing software-as-a-service platform for businesses and nonprofits. He is also a faculty member at Portland State University’s School of Business Administration. Sampat was the founding president of TiE Oregon and continues to be active in the entrepreneurial ecosystem in Portland as a mentor and angel investor. He has more than 25 years of experience in ecommerce, internet applications, semiconductors, and software development. He held several technology development and executive roles at Intel including the responsibility for market expansion in South Asia as president of Intel India. He has been granted six U.S. patents related to streaming media and ecommerce. Sampat also serves as a board member and treasurer for the Virginia Garcia Memorial Health Center and Foundation, an organization committed to providing and increasing access to healthcare. He was granted a degree in electrical engineering from the Indian Institute of Technology–Bombay and a graduate degree in computer science from Syracuse University. As one of the cofounders of OpenSesame, Tom Turnbull believes there is no greater adventure in business than working with a team to build something new. He loves the energy and culture of startups and has worked at four—including OpenSesame. Turnbull earned a JD from the University of Washington, and a MBA from New York University. He also holds a bachelor of arts in philosophy from the University of Puget Sound. Rick Turoczy has worked with startups in the Portland area for 20 years. As the founder of Silicon Florist, he has blogged about the Portland startup scene for nearly a decade. That project led Turoczy to cofound the Portland Incubator Experiment (PIE), a startup accelerator formed in partnership with global advertising firm Wieden+Kennedy. Those efforts led him to cofound TechFestNW, a tech event run in collaboration with Willamette Week and MusicFestNW; Oregon Story Board, a startup accelerator focused on the digital storytelling industry in Oregon; and Built Oregon, a digital magazine revealing the stories of founders from around the state. Turoczy currently serves on the board of the Technology Association of Oregon and the board of the Oregon Video Game Association. In 2014, he was named the “Small Business Advocate of the Year” by the Portland Business Journal. Tom Wright-Hay is currently the director for information services and continuous optimization for Blue Star Gas. He has more than 25 years of experience in management, strategic planning, sales and marketing, engineering, and lean manufacturing. His career began as a project manager in a refinery for a Fortune 500 energy company and progressed to include internal business consulting and strategic planning roles. He also served as CEO and general manager of a recreational products manufacturer where he successfully employed Lean to turn the company around. As a consultant with the Oregon Manufacturing Extension Partnership (OMEP), Wright-Hay worked with numerous companies in the high-tech, wood products, metal fabrication, heavy equipment, and medical products industries. He served on OMEP’s board of directors, was a member of the State of Oregon’s Manufacturing Workforce Committee, and has guest lectured at the University of Oregon. Wright-Hay holds a degree in mechanical engineering from California State University, Fullerton and an MBA from the University of Oregon. As the managing director at SGC Ventures, Sara Conte provides management consulting work for private equity companies. Her focus is merger and acquisition due diligence, including market opportunity assessment and voice of the customer analysis. Conte spent 15 years building successful companies—from startups to big businesses. Her previous startup, Brand Genie (PrestoBox), introduced branding to the masses as the first automated branding agency. She has previously served at JP Morgan, Boston Consulting Group, and NTR, a private equity company, and has been an active local early-stage investor through angel groups like Oregon Angel Fund, Angel Oregon, and Portland Seed Fund. Conte holds a BA from Claremont McKenna College and an MBA from Harvard Business School. Mitch Daugherty began his entrepreneurial journey when he cofounded Arizona Outback Adventures (AOA) after graduating from Arizona State University. Upon leaving AOA, he cofounded Morange Design and then Built Oregon, a nonprofit focused on accelerating, connecting, and amplifying the consumer product ecosystem in Oregon. He is actively working—through events like the Built Up Festival and the Bridges program—to make Oregon known as the hub of consumer product innovation and entrepreneurship. Scott Davidson has more than two decades of experience working with entrepreneurs and management teams of startup and later-stage ventures across a broad spectrum of Pacific Northwest industry groups including consumer brands, apparel, footwear, entertainment, and technology. Davidson leads the White Summers consumer brands practice group and frequently works with clients on key strategic issues including angel, venture and private equity financings, debt financings, and strategic partnerships. Gudrun Granholm is the founder and CEO of Box One, Inc., a firm specializing in custom financial trainings for management audiences, ranging from startups to multi-national organizations. She currently teaches for the University of Oregon’s Executive MBA, the Oregon Health and Science University’s Medical Management MBA, and Portland State University’s Center for Executive and Professional Education. Granholm spends the balance of her time as a working investor with the Oregon Venture Fund and on causes that serve women, children, and diversity. She has served as a financial analyst as well as a controller to CFO/CEO at companies including The Washington Post Company, The Smithsonian, and Hannah Andersson. Granholm received her BA from Harvard University and her MBA from Stanford Graduate School of Business. Kathy Long Holland is a specialist in the development and launching of new products, strategies, and business models. She is an expert in entrepreneurship and her work is targeted to helping owners, executives, and managers develop strategies for dealing with transitions. Jim McCreight is director of strategic partnerships for the Oregon Technology Business Center incubator (OBTC). McCreight has been an entrepreneur since 1966 founding six companies in over 35 years. He currently assists startup companies through the Oregon Entrepreneurs Network and OTBC. He is an active volunteer in the City of Beaverton having served in several leadership positions since 1995. He is also president/chairman emeritus of the national Museum Trustee Association, and has been involved in the museum community as a trustee, patron, and volunteer for more than 25 years. Devon Nevius is a self-starter with a successful track record of business growth. He started working in technology immediately following graduation from the University of Oregon with a BS in business administration. Nevius quickly climbed the ranks at one of the largest office technology companies in the Northwest before following his entrepreneurial ambitions, seeking a company with an innovative culture and exceptional potential for growth. Nevius joined Upward Technology in 2014 as a co-owner. Eric Pozzo is currently semi-retired and continues to manage the finances of ChipLab.com and a real estate partnership. Since leaving Intel in 1982 to start Microcosm, Inc., a pioneering PC-based instrumentation company, Pozzo has pursued a career in entrepreneurship and has helped found and manage a number of various successful startups. From 2008-2011 he served as fund manager of Oregon Angel Fund, an early stage investment fund. Pozzo managed the finances of a portfolio company, Pacific Light Technologies, from 2012 through 2014. Jon Summers is an attorney and CPA at White Summers, representing technology and emerging growth companies with respect to formation, financing, governance, and transactional matters. He counsels clients on venture capital and angel financings, mergers and acquisitions, strategic alliances and joint ventures, technology licensing, commercial agreements, and general business matters. Peter Thorsson leads business development, sales, and strategic partnership work at Palo Alto Software, where he creates relationships and programs that help entrepreneurs succeed. He has also started and sold a successful business with more than $1 million in revenue, directed strategic partnerships for Nickelodeon and Comedy Central, organized local Startup Weekend events, and judged business competitions for Rice University, Princeton University, University of Notre Dame, and others. Thorsson has taught contemporary business planning for many years in venues such as Lane Community College, University of Oregon, Oregon Small Business Development Center, and Oregon SCORE. Thorsson is the past president of the Committed Partners for Youth in Lane County’s board of directors and board director of the Boys & Girls Club of Emerald Valley. He has also mentored individual local youth and local small businesses. Jane Ullman is managing director of the Portland office of Silicon Valley Bank. She has been the CFO of multiple young technology companies and has helped raise more than $150 million from venture capital, private equity, angels, lenders, leasing companies, and impact investors. Previously, Ullman served as an investment banker with the World Bank in East Africa as well as an engineer in solar energy. She holds an MBA from Stanford University and a BS in mechanical engineering, geology, and math from Vanderbilt University. Elliot Bishow is a member of the Equilibrium Water and Waste team where he focuses on the investment underwriting, due diligence, and operational performance monitoring and reporting processes for the Wastewater Opportunity Fund. Prior to joining Equilibrium, Bishow worked for Citi’s global industrials investment banking group in New York, where he focused on merger and acquisition advisory and transaction financing for both public and private companies as well as financial sponsors. He also brings experience from his time as a management consultant advising power and utility clients on major capital projects and asset management strategies. Bishow earned his bachelor’s degree in finance from New York University’s Stern School of Business and holds an MBA from University of California, Los Angeles Anderson School of Management. Rande Bruhn is a seasoned business executive and owner with nearly 40 years of general operational and financial management experience in businesses of varying size, complexity, and nature. He is currently the cofounder and CEO of an entertainment software company. He has spent the past 30 years of his career primarily focused on business growth, value creation, and management in the technology, professional services, and manufacturing arenas, and has served in management roles for and invested in both early- and later-stage enterprises. Bruhn also has significant experience in mergers and acquisition work as well as with work-out companies. Bruhn holds a bachelor’s degree in finance (with a secondary concentration in economics) from the University of Oregon, an MBA from the University of Portland, and is a licensed Oregon CPA. Theresa Buell serves as a consulting council member for the Gerson Lehrman Group’s healthcare and consumer goods practice area. She is a Fortune 100 general management executive widely recognized across a broad range of industries as an innovative, globally focused executive who delivers exceptional financial operational and strategic outcomes. Buell earned her MBA at the SDA Bocconi School of Management. Peter Cobb is a member of the board of directors of both DSW, Inc. and eLynx Technologies, and also serves on PayPal’s advisory board. Cobb cofounded eBags.com, the largest travel goods online retailer. He is also cofounder of 6pm.com, a footwear and accessory website acquired by Amazon/Zappos in 2007. 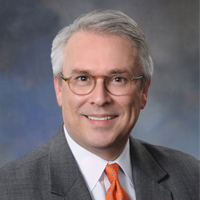 Cobb is a former board member of the National Retail Federation (NRF) and is former chairman of NRF’s Shop.org, the leading online retail trade association. Cobb is a past chairman of the Travel Goods Association (TGA) and received the TGA Award in 2009 for outstanding achievement within the travel goods industry. He received his MBA from Northwestern’s Kellogg Graduate School of Management and his undergraduate degree from the University of Oregon. David Embree is the cofounder of dating app DateNight, as well as a multi-time entrepreneur, having founded Athletepath.com within the Portland Incubator Experiment (PIE) and Wieden+Kennedy incubator in 2011 and growing it through its acquisition in 2015. Since then, he’s served as the principal of digital consultancy DigitalClicks, guiding high-growth consumer technology and sports companies—such as lululemon and Dollar Shave Club—to advance their product experiences, consumer strategy, and commerce channel opportunities. Anika Hedstrom leads the financial planning division for Vista Capital Partners, one of the leading financial advisors in the Pacific Northwest. Vista serves more than 400 clients and manages more than $1.4 billion in assets. Hedstrom is responsible for setting and directing strategy across all areas of financial planning and drives the firm’s wealth management communications. Prior to financial planning, Hedstrom was a financial analyst for Chevron, where she marketed and traded a billion-dollar commercial paper program to institutional investors while living and working throughout southeast Asia. She is an alumna of the University of Oregon MBA program with concentrations in finance and entrepreneurship. Blake Lyman is a technical product lead at the Jaguar Land Rover Technology Incubator in Portland, Oregon. An experienced product manager, Lyman leads efforts to define and execute integrations of new technologies into the Jaguar Land Rover vehicle ecosystem in partnership with companies participating in the incubator’s early stage and automotive accelerator tracks. He also lends his experience to coach these partner companies on product development, product-market fit, and business development. Prior to joining Jaguar Land Rover, Lyman led product management efforts for a diverse array of companies whose products delivered solutions for interactive education, financial services, and military intelligence analysis, among others. He is a graduate of the University of Chicago, the London School of Economics, and the California Institute of the Arts. Jaren May spent the past six years in Asia with TE Connectivity. During his time with TE Connectivity, May led product strategies in the data center, consumer electronics, and semiconductor markets. May obtained his MBA from the University of Oregon. Natalie Miller is the director of brand strategy for North America brand marketing at Nike. A passionate problem solver, Miller has spent her career developing strategies to solve complex business challenges. Miller is also the CEO of apply101.com and the owner of the Cannon Beach Escape Room. She holds an MBA from the University of Oregon and a bachelor’s degree from Scripps College. Ben Nahir is a senior venture associate at Elevate Capital and program manager for TiE Angels Oregon and TiE Global Angels. In this dual role, he works closely with both entrepreneurs and investors; his diligence research and recommendations have helped deploy more than $8 million in angel and venture capital. Although he is especially interested in biotech and life sciences, Nahir assists startups from myriad industries—including tech, software, food and beverage, and consumer products—and helps them refine their business strategies and position themselves for successful investment. Previously, Nahir spent 12 years in academic research studying the fundamental nature of neuronal communication in the brain. He holds an MBA from Portland State University and a PhD in neuroscience from the University of Florida. Dara Westling is a crowdinvesting consultant and small business owner committed to helping underserved communities get access to capital and technology resources. Westling runs investor relations for TechSoup, a nonprofit which has matched changemakers in more than 200 countries and territories worldwide with more than $5.5 billion in tech donations and services, and previously served as a member of its executive team. Westing has recently consulted and advised on capital raising projects with other impact initiatives in Oregon, and has served on a working committee at the State of Oregon’s Division of Financial Regulation established to explore the evolution of crowdfunding exemptions in support of small businesses. She has an MBA, a master’s degree in public and international affairs, and a certificate in impact investing and social enterprise. David Yasnoff is the CEO and founder of SendSmart.com. SendSmart provides an artificial intelligence communication platform that allows brands—including Ford, Chevrolet, BMW, Mercedes and Lexus— to ensure they have thoughtful conversations with their customers on every communication channel. 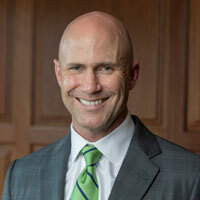 Rich Brown serves as senior vice president in the global environmental group at Bank of America. The group is responsible for all environmental sustainability for the company, including strategic direction for business activities such as climate finance, operational initiatives, employee programs, corporate policy and governance, philanthropy, and supporting the United Nations sustainable development goals. He is responsible for environmental business development, marketing initiatives, managing the bank’s partnerships with national and international environmental organizations, and Bank of America’s MyEnvironment employee engagement program. Prior to his 26 years at Bank of America, Brown was a legislative aide to then-Congressman (now U.S. Senator) Ron Wyden. He received his BA in political science from the University of Oregon. Ryan Cabinte is an instructor and program manager in the Center for Sustainable Business Practices at the University of Oregon’s Lundquist College of Business. Previously, Cabinte served as a core faculty member and dean at the Presidio Graduate School. He also serves as a strategic consultant and legal advisor to numerous social entrepreneurs and sustainability ventures, and serves on the board of Multiplier, a 501(c)(3) fiscal sponsor for environmental entrepreneurs. Cabinte is a graduate of Yale University, Boston University School of Law, and Presidio Graduate School. Sara Hoversten is the director of corporate partnerships at the Bonneville Environmental Foundation, where she cultivates, maintains, and expands partnerships that help advance the impact of the foundation’s mission. Her role focuses on partnerships and stakeholder engagement around corporate environmental water stewardship and clean energy career-connected education programming. Throughout her career, Hoversten has served in different capacities in community development, impact investing, sustainability and marketing strategy consulting. Previously, Hoversten served as the director of operations at the Green Sports Alliance. In this role, she produced the annual Green Sports Alliance Summit and maintained external- and internal-facing responsibilities such as business development, program strategy and project management, business operations, and human resources. Hoversten received her MBA with a focus in sustainable business practices from the University of Oregon and a BS in marketing from the University of Wyoming. David Muller is a professional consultant focused on sustainability, communications, marketing, and organizational development. He has worked with various companies and organizations in and around the global sports industry, helping them both implement and communicate holistic commitments to sustainability as a core operating principle. He is currently assisting the local nonprofit Business for a Better Portland. Most recently, Muller served as an in-house sustainability consultant to the 2018 Special Olympics USA Games in Seattle, designing the sustainability strategy and helping to produce a sustainability impact report and legacy playbook and toolkit for future organizers. Previously, he served as founding membership director for the Green Sports Alliance, acting as primary advisor to its broad network of sports and corporate members. Muller serves as a founding member of Sport and Sustainability International, on the Sustainable Event Alliance’s leadership team, on the Oregon Environmental Council’s Emerging Leaders board, and on the Street Trust’s revenue committee. He earned his MBA in sustainable business from Presidio Graduate School. Craig Riley serves as the North American director for sustainability services at AECOM, a premier consultancy and integrated infrastructure firm, and as the global lead for the company’s sustainability services technical network. With more than 20 years of diversified environmental and sustainability management consulting knowledge, Riley brings experience from multiple sectors, including private industry, Fortune 250 companies, transportation, and infrastructure. In addition to his degrees in environmental science, chemistry, and business, Riley is also a credentialed LEED AP, an ISSP-CSP sustainability accredited professional, and has a certification in the Global Reporting Initiative (GRI) Sustainability Reporting Process. Chad Barczak is an entrepreneur with more than 30 years of experience in business startups and ownership. Barczak cofounded IDX, LLC in 2003 and is currently the company’s CEO. IDX is the leading provider of real estate search applications for real estate agents throughout the U.S. and Canada. Barczak helped create and start multiple businesses and commercial development projects, including Level Up, a popular bar and arcade, Odysys, a leading software-as-a-service provider in the hospitality industry, and the Russell Apartment building development. Maggie Finnerty practiced corporate law with a focus on small and emerging companies for nearly five years at Stoel Rives. She served as the vice president of business development at a Portland startup, and developed and taught the first “Law for Managers” course at Portland State University. She later joined the faculty of the Lewis & Clark Law School, where she taught, practiced law, launched the Small Business Legal Clinic—which provides legal support to low-income entrepreneurs—and served as the clinic’s executive director. Finnerty has also served as the vice president of investor stewardship at Greater Portland Inc. and most recently as a client relations manager at Perkins Coie. 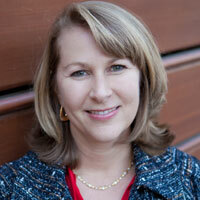 Sabrina Parsons is CEO of Palo Alto Software, developer of LivePlan, the best-selling business management software. Palo Alto Software develops software and tools specifically targeted for entrepreneurs and small-business owners. 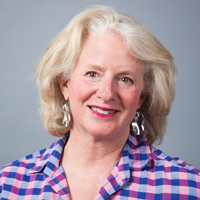 Parsons assumed the CEO role in May 2007 and is responsible for Palo Alto’s business planning, fiscal and strategic goals, and all of the company’s traditional marketing. Parsons began her professional career with the marketing team at EnCommerce. In 1997, she became director of online marketing at CommTouch Ltd. an email services company, and left in 1999 to help start Epinions.com, which later became an eBay property. Parsons is a staunch supporter of entrepreneurs and supports entrepreneurial organizations, and serves on the boards of the Princeton Entrepreneurs’ Network, the Willamette Valley Regional Accelerator Innovation Network, and the Eugene Chamber of Commerce. She is a graduate of Princeton University. Juan Barraza is a founder of a digital health startup, lead organizer of Portland Startup Weekend Latino, and founder of Latino Founders, a professional organization empowering the next generation of Latino entrepreneurs. He believes that entrepreneurship is a great equalizer in society and any individual with an idea or concept and strong work ethic can create a great venture with direct economic impact to family and community. Barraza leads programming efforts and communications at Portland State University’s Center for Entrepreneurship Student Innovation, weaving entrepreneurship into the fabric of the daily activities of students and faculty via events such as the PSU Cleantech Challenge and InventOR. He has in-depth knowledge of strategic planning and implementation of product and services rollouts and has a track record of building and leading diverse, collaborative teams. Beatriz Megchun is an assistant professor of design and innovation at the University of Portland’s Dr. Robert B. Pamplin, Jr. School of Business. She has more than ten years of experience working in the creative, manufacturing, and new technology industries in both Europe and Mexico, and has collaborated for more than 20 years with different NGOs and governments in the gestation and implementation of social projects in the cultural area. Megchun previously taught design management at the American University of Sharjah, U.A.E. Meagan English is the owner and operator of Meagan English Coaching and Consulting. She is a best-selling author, executive and leadership coach, and culture consultant. Prior to starting her practice in 2014, English spent 15 years in health care operations, culminating her career as the director of operations with operational and fiscal oversight of a portfolio that included 13 business units with a combined operating budget of more than $5 million annually, serving thousands of employees, patients, and their families. English’s current coaching and consulting practice has three arms of business: executive and leadership coaching for established and emerging leaders, creating and facilitating team building events and retreats (often incorporating equine coaching), and speaking and conducting workshops. Kari Naone is the executive director of TiE Oregon, a nonprofit venture whose mission is to foster entrepreneurship through mentorship, programming, and angel investment. TiE Oregon provides support to adults and youth through signature programs, TiE XL Entrepreneur Boot Camp, and the TiE Young Entrepreneurs (TYE). In addition, the TiE Oregon Angels have invested approximately $8 million in 53 startups since 2010. Prior to working with TiE Oregon, Naone led programming at the Technology Association of Oregon (TAO) and has worked for several startups in sales and marketing roles. Naone has a bachelor’s degree from the University of Wyoming.